The plumbing system of any building is subject to constant use and abuse. Maintenance is of paramount importance. It is very important to attend to even the slightest fault as soon as possible. A leaking tap can waste a lot of water and the leak may soon become a more serious problem. Rapid Response Plumbers specialize in solving any plumbing problem, regardless of the seriousness or complexity. Our wide range of services will enable you to rest assured that you will never have to deal with a plumbing problem without knowing where fast, efficient and cost effective help can be found. All our plumbers are fully qualified with many years’ experience. When a plumbing emergency occurs there is no time to waste. Immediate action needs to be taken or severe damage of flooring, ceilings, furniture and other valuables may result. In severe cases the emergency can even pose a real danger to the inhabitants of the property. Rapid Response Plumbers understand this and that is why our emergency teams are ever ready to respond to emergency call-outs immediately. We make sure that our emergency numbers are manned at all times. You will find a knowledgeable, friendly and efficient operator at the other end of the line. The operator will make a provisional assessment of the situation and dispatch an emergency team straight away. Our teams are equipped with all the tools and materials that may be needed to deal with a problem on the spot. Gas is certainly one of the most convenient and versatile fuels around. There is a good reason, however, for the requirement that every plumber be Gas Safe registered and why landlords need to obtain a Gas Safe certificate. Gas can be dangerous and there have been incidents that lead to awful injuries and even deaths. All our plumbers are Gas Safe registered, not only because it is required by law, but because we rate safety our highest priority. We can conduct inspections to determine the safety of your home and we can issue Gas Safe certificates to landlords. It is vital to schedule regular inspections by qualified plumbers such as those employed by Rapid Response Plumbers in order to ensure that the building is safe and that all gas appliances are working efficiently. Blocked drains and poor drainage can pose a health risk and cause considerable inconvenience. Drainage systems need regular maintenance. Rapid Response Plumbers use only the latest technology to deal with drainage problems, including the use of CCTV technology to conduct detailed surveys of entire drainage systems. We can also reline or descale all your drain pipes without causing a mess. When you contemplate renovations or additions, we will gladly provide consultation services to help ensure that the drainage system will cope with the changes and additions. 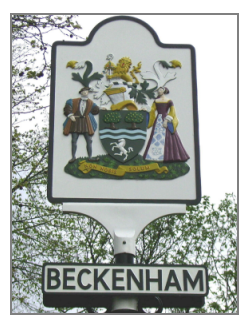 Situated in the south-east of the metropolis, theLondon Borough of Bromley, Beckenham is a bustling community with a mix of architecture ranging from housing estates to some remaining grand old homes dating back to the mid eighteen hundreds.